Substantial airflow is critical for maintaining cooling performance on the track. 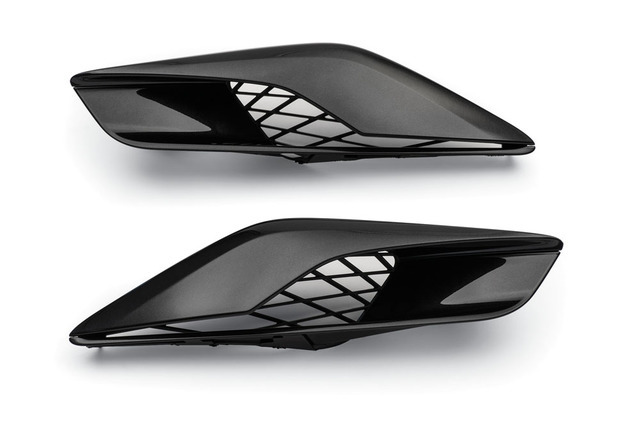 The Z06 Quarter Panel Vents for Z51 models offer larger openings for increased airflow to the transmission oil cooler and differential cooler – an approximately 25% improvement over the airflow of the Z51 at track speeds (based on CFD analysis). Which Corvettes does these quarter panels fit? It fits 2015-2018 Chevrolet Corvettes that are Z06's, 2017-2018 Grand Sports. 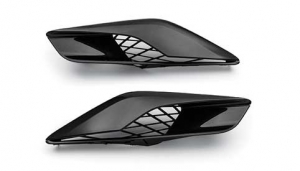 It also fits 2014-2018 Chevy Corvettes that are Z51's or base model Stingrays. What is the weight of these quarter panels? The weight of the quarter panels are 4 lbs combined. The measurements for this part are 30.5 x 10.9 x 6.95. The information presented here is what our systems have about the product. The boxes good enough to handle shipping these parts to me? Unfortunately, the answer seems to be no. We had a set get damaged on the way to a customer. We no longer ship these in the original box because of that fact. We take them out and ship them in a box that fits the purpose better than the original box. We will continue to do this until a change is made and the box is able to make the trip. What is the preferred way of sending these to a person? The answer to that question is complicated and it really depends on a few factors. The first thing to do is realize that this part is not going to leave via USPS first class. The part will leave in one of three ways and those three ways are USPS Priority, FedEx Ground or FedEx home delivery. Who do I talk to if I have more questions about this part? You can call us by dialing 1-888-260-6168. You can email us by writing to parts@trunkmonkeyparts.com. Finally, you can chat with us by clicking the chat the button on the lower left hand of your screen.